Sitter: Thomas Brooks, 1st Baron Crawshaw (1825-1908). Biog: Lancashire businessman & Liberal Unionist. 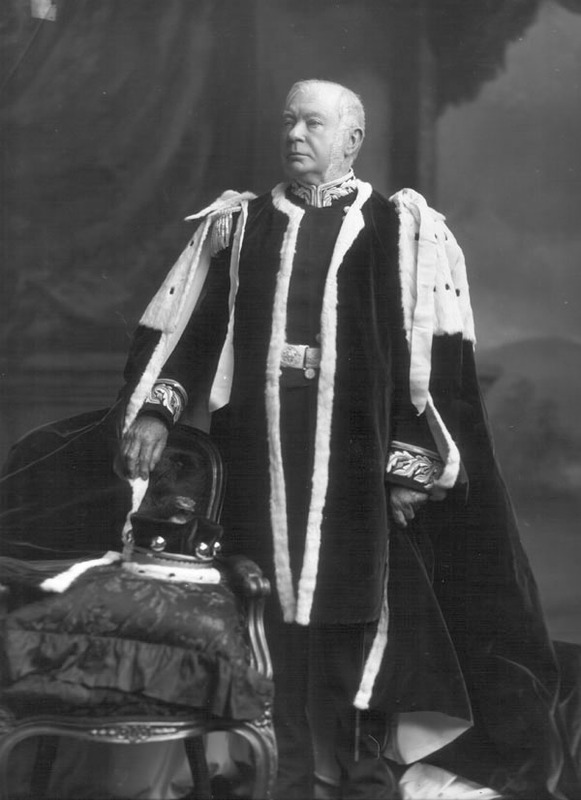 Costume: Peer's Robes over Dress Uniform, Deputy Lieutenant [English Counties]. Biog: Burke's Peerage; The Complete Peerage; Who's Who; The Times, 6 February 1908. Costume: H. Graham Bennet, "Dress worn at His Majesty's Court and on occasions of Ceremony", London, 1903.